Have fun understanding and training your Birman kitten and cat with these fun helpful tips! Learn what is the best type of cat food to feed your cat is, and learn how to make sure your cat is eating a healthy amount of food each day. 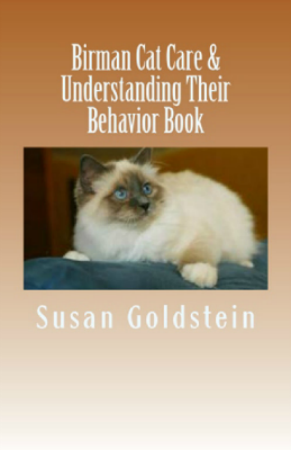 Learn how to understand your cat’s behavior, and learn why they do some of the crazy little things they do. Learn how to make them some homemade cat toys they will love to play with! Learn what to look for and do if your cat gets worms, fleas, ticks and more. Learn the different characteristics of your Birman cat, and how to have fun living with your cat and much more!